I mentioned my vacation reading material the other day, and thought I’d chime in with a slightly heftier review. 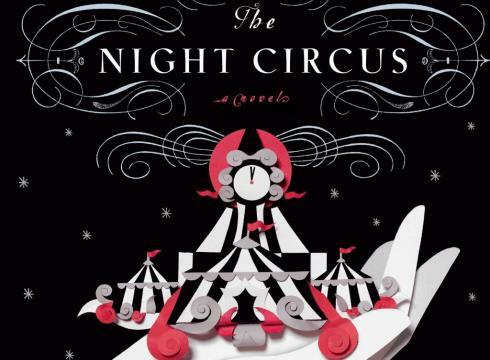 The Night Circus is a pretty captivating book, and one I’d generally recommend to other readers who are looking to escape into another world for a time. As I’ve said before, it won’t soon find its way onto university syllabi, but it’s pretty well-written and full of spell-binding imagery. At the center of the story are two apprentice magicians who study real magic and pass it off to the world as mere prestidigitation. They are pitted against one another in a sort of competition- a game whose sinister rules are only hinted at, but are never really explained. In the beginning, this vague premise lends a good deal of mystery to the book, but by the end it becomes a drag on the believability of the story. More on that in a moment. Nevertheless, it’s a book filled with interesting characters. And the most interesting character of all happens to be the circus itself. You discover it through the eyes of both lay circus goers and those on the inside. Momentum builds as you see it develop from a mere idea to a tangible enterprise that attracts its own traveling fan-base. You’re enchanted in the same ways you were first oohed-and-aahed by Hogwarts, or Willy Wonka’s Chocolate Factory. But here’s the problem I encountered. I had no problem suspending my disbelief about the magic and mystery of the circus, but I was completely unable to swallow the central premise on which it all rested, not to mention the motivations of the characters as they played out “the game.” That the two main characters could be compelling, strong-willed actors in their own stories, and yet be such naive and hapless pawns in a game they never understood just… didn’t ring true to me. And on top of that, the resolution of the book’s main crisis seems to break the very rules that created the crisis in the first place. And here’s where the story really rubbed me the wrong way (spoilers follow): there is a desperate need to find a new steward for the circus, lest it and its creators start crumbling out of existence. The action crescendos to this point, and then… wait for it!… a complete nobody is chosen to step in and save the day. Nothing destined, nothing special about him, nothing that even remotely suggests that he could continue where the two magicians had left off, just a force-fed resolution that didn’t really satisfy. Aggravating. But hey, it was a vacation read, so I lowered the bar just a bit. Anyone else read it? Anyone disagree?